Today we welcomed to The Fort Enzo! He is a friendly 10 year old, black & white Rat Terrier. At first he wasn't to sure about his surroundings, but after other dogs started coming in he became a lot more comfortable. Enzo has recently been adopted by the owners of Fort Fido regular Gigi. We here that he has been fitting in well with his new family. Get a load of Keen! 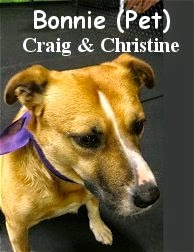 He is an intelligent, six year old, fifty-five pound, mixed breed, that assessed this morning. In the Big Roll, "Keen", pretty much lived up to his name... Showing an ability to think clearly and understand, while communicating with other canines. Keen seemingly enjoyed being with the pack, and socialized with several different dogs. When it came to play, Keen wasn't quite ready to get into much of it, although he did have the opportunity to We believe there is a good chance that Keen will become comfortable enough to play here, once he gets a few more Fort Fido visits under his belt. At the end day, Keen's a nice and good looking dog that is welcome here at The Fort anytime. Hopefully he'll "bust out" next time, cause there were many dogs that fancied him and tried to get him in the game. Today in the Big Roll play area, we had a lot of action involving Max, Liberty, and Reilly... Border Collie Max, sure knows how to stir up the fun! Big puppy-head, Oliver, has recently "graduated" from the Medium Roll to the Big Roll. He is experiencing his second day of the Large Pack today. We are glad he's made the move, and sure enough, as you can see, he is doing well and loving his new digs/friends. In the Medium Roll today, it was our normal "cyclone of fur" that is Lucky and Yuki hahaha! As usual, Georgie played her tail off, this time with "siblings" Lucy and Max. Awesome stuff. Upstairs in the Little Roll, we had our cute Wednesday Regulars, and of course, lots of ball time. Sometimes, it can be rather hard to catch the little dogs engaging in dyadic (one on one), wrestling-style play... Today however, we got lucky. Here are Fort Fido mainstays, Oreo and Samarah, having a darn good time together. I found a slew of first-rate articles this morning, enjoy! I hope everyone is having a fantastic Memorial Day. Thank you to all who have served! As you know, The Fort runs like a well-oiled-machine 365 days a year, 24 hours a day... So, even on this wonderful Memorial Day, we are up to our usual "Doggy Business". Meet today's new pooches, in for their assessments, "Brothers" Filson and Cowboy. These two handsome looking, Lab, good-old-boys, marched right into the Lobby, ready and willing to meet the pack. 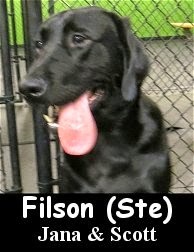 Filson is a jolly, one year old, eighty-five pound, black, Labrador Retriever. 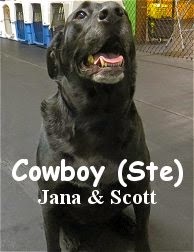 Cowboy is a keen, four year old, eighty-nine pound, black Labrador Retriever. After entering the Big Roll, both Filson and Cowboy took to their new surroundings with ease. As other dogs were introduced to them, and the pack grew in size, Filson and Cowboy seemed to be feeling it. They settled into a nice groove of meeting and greeting, and they even played a little bit with Captain among others. Although we didn't see tons of play out of this dynamic duo, we believe, given time and consistency, we should see them involved in even more play-like socialization... Specifically Filson, given his energy level, and gregariousness. On the other hand, the older Cowboy, may just keep his more mature and calm, alpha-like demeanor going. Either way, Filson and Cowboy are welcome to come and hangout with us at Fort Fido anytime. 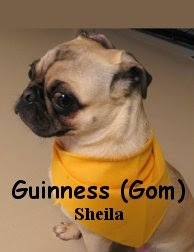 Today we welcomed Guinness to The Fort. He is a high energy, 2 year old, 17 pound, fawn colored Pug. Guinness joined the small pack this morning, and had a lot of fun. He did very well for his first day and thoroughly enjoyed his stay. Good job buddy! We hope to see you again soon. It was Lucky's day to have his assessment! 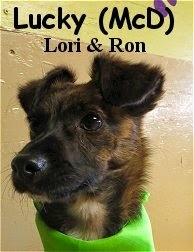 He is a very original looking, nine month old, ten pound, Dark Brindle, Terrier Mix. Lucky is the new "little brother" of Fort Fido regular, Ruby. Recently rescued, Lucky, is certainly living up to his name... His new forever-home and family can't be beat! These folks are dog owners that truly know how to do right by a canine. Compliments to them. This morning, Lucky was a bit hesitant about stepping into The Fort at first. Once he reached the Little Roll upstairs, he calmed a bit, and was interested in his new surroundings. Like his "big sister" Ruby, Lucky is good at speaking "Dog", understanding just how to communicate with new canine acquaintances. As many of you know, dogs communicate in a myriad of ways, some being quite subtle... And just like people, some canines "speak to each other" better than others lol. Lucky went from meeting and greeting the other dogs, to fun-filled play with several of them, within an instant! Twas a sight to see. Given all that, it's easy for us to say "Welcome to the pack Lucky Dude, see ya soon!" Here is Lucky in video from this morning, playing with Barclay and Miguel. P.S. Have a wonderful Memorial Day! Please note, there is still room available for Overnight Boarding this weekend, reserve your spot as soon as you can. Today we introduced Hailey to Fort Fido's Pack. 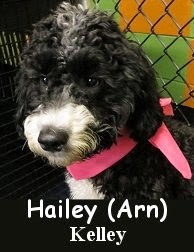 She is a six month old, black and white colored, twenty-five pound, Portuguese Water Dog. This "presidential pooch" came into The Fort just a wiggling away, and ready for fun! Hailey flew back with us to the Medium Roll, where she began to meet the crew. As the play area filled with other outstanding canines, Hailey, must have thought she had "died and gone to heaven" lol. This playful puppy "got in the game" instantly. She ran about wildly and had a blast with any other canine that was into her play-style. Hailey's your typical happy and excited young dog, that can get a lot out of Dog Daycare. The socialization and high-energy play, will do wonders for her. We'd like to see Hailey around as much as possible. 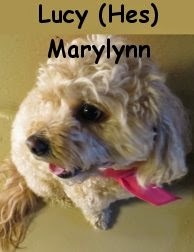 Her owners are doing a fine job taking care of her... If they continue with the strong leadership and consistency, there's no doubt that Hailey will become a first-rate adult dog... Just as good as "first-dog" Bo. We captured a few nice clips of Hailey doing her thing. She thoroughly enjoyed Ruby, Yuki, Lucky, and Cody, among several others. Hailey was down to play with any dog at any time. Today we had Jerry in for his assessment. He is a striking, five year old, eighteen pound, black colored, Miniature Schnauzer. Jerry entered Fort Fido with a cool mix of confidence and intrigue. We escorted him to the Little Roll, where he'd be spending his time with the pack. 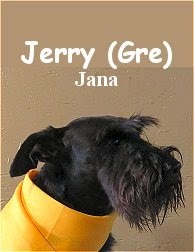 Once there, Jerry blended into the play group well, because he speaks pretty darn good "Dog". It's clear that Jerry has socialized with other canines before. Amidst our pack, Jerry played a little bit with the others, and liked chasing after balls and toys. The Fort seems to be a nice fit for Jerry. He has spent time at other boarding facilities in the past, doing good and enjoying himself. Jerry has even traveled as far as Panama! One hilarious fact about Jerry, is that at home, his best friend and playmate is the family cat, too funny. 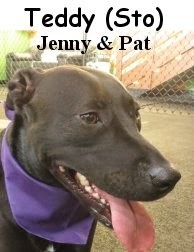 We believe that Jerry will continue to thrive at Fort Fido. He is a neat dog that's welcome any day or night. P.S. Although not too action packed, you can spot Jerry in the following clip. Phoebe and Finn came into the lobby full of joy, and proceeded to sniff-about curiously. From there, they scampered up to the Little Roll to get settled in. After some time, they began to meet the pack, greeting with the other dogs in a polite and friendly matter. Fitting in rather well with the group, Phoebe and Finn are pleasant little dogs, that remained calm and balanced during their stay. Although we didn't see too much "play" out of Phoebe and Finn, they did do a bit, and seemingly enjoyed the Dog Daycare Experience. Finn chased after some toys, and played with Phoebe some, both dogs enjoyed our play-toy-slide. We think that Phoebe and Finn can extract even more fun out of Fort Fido, and possibly, even bust out into some more "rigorous play", during future visits. 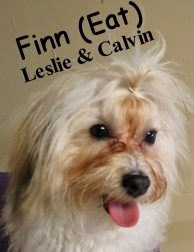 Phoebe and Finn are welcome to stay with us anytime, and we plan on seeing the duo again. Today we had the pleasure of welcoming Lucy to the Fort. 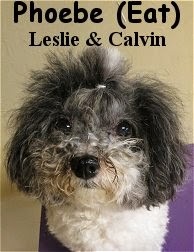 She is a 4 year old, 18 pound, Cavapoo (Cavalier King Charles Spaniel / Poodle). Lucy joined the small dog pack and did well once the other dogs arrived. She fit in and was well received by the others. Good job today Lucy, we look forward to seeing you again soon. Get a load of Chedder! He is a hardy, two year old, seventy-pound, yellow, Labrador Retriever, that had his assessment today. Chedder brought his happy-go-lucky disposition in with him to the Big Roll. Once inside the play area, he met up with Theodore. The two hit it off instantly, ripping around and playing hard. Chedder is an extremely social dog, that is fluent in canine communication. He's the type that just wants to play, and have a good old time with any other dog that's receptive. Lucky for Chedder, there were several fun dogs in today that he got to mix it up with. All in all, The Fort scored an outstanding new Big Roll pack member... Way to go Chedder! You are welcome to Fort Fido anytime and we hope to see you again soon. Here are two sweet clips of Chedder enjoying himself. Wilson rolled into The Fort this morning raring to go for his assessment. 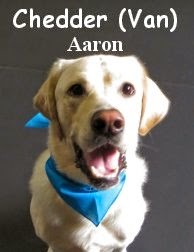 He is an energy filled, one year old, eighty pound, Yellow Labrador Retriever. We had Wilson try our Big Roll on for size. In there, he socialized and played well. His play style is fast & furious, with a lot of hard "wrestling". Lucky for Wilson, there are quite a few pack members with the same play style as him. He matched up nicely with Theodore, Brix, Riley, and Macgruber. Those four pooches went "12 rounds" with Wilson and really tired him out. 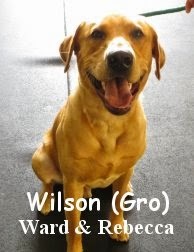 Wilson is a very athletic canine, that can get a lot out of Dog Daycare, given some consistency. He's a good dog, but one that requires strong leadership. Wilson may attend Fort Fido anytime. Take a gander at these great clips of "The Wilson" in action. This morning we had the pleasure of assessing the ever-so-cute Ruby. 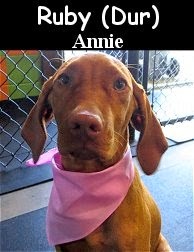 She is a sweet, four month old, twenty-five pound, Vizsla. We wasted no time introducing Ruby to the Medium Roll. Once there, she got to meet and greet with new fun-loving pups Logan and Oliver... Those two, among others, proved to be an awesome match for Ruby throughout the morning. Ruby is doing a fine job at learning how to speak "Dog" and socialize. She is the perfect age for learning, and she's at the perfect "school" for learning, that being The Fort of course! We believe Ruby is going to grow into a very healthy and well-rounded canine. She is definitely welcome here anytime. Kudos to her owner for doing right by her! Enjoy these two clips of Ruby jamming in the play area. P.S. Also, Ruby just so happens to be the "niece" of Fort Fido regular Louie, cool stuff. - It seems like a no-brainer, but we stay up on the local weather reports year round, to be prepared. - First and foremost, year round, we do our best to make sure our dogs stay hydrated. Some of our dogs require more monitoring of their fluid needs and some require extra hydration... Like seniors, puppies, diabetics, boarding dogs, etc... Some dogs are "shy drinkers" around the pack, while others chug water until they vomit in an attempt to stay cool after rigorous play. Allowing a dog to do this, could make them dehydrated. So with some canine guests, keeping them hydrated is a balancing act. - 365 days a year, we closely monitor our play groups, not allowing dogs to get overheated or overly stimulated. - On days that plan to be 75+, we open up our large bay doors in the A.M. We keep our overhead fans off, and trap the morning's cool air inside the building. Before "high noon" we shut our bay doors, and keep our overhead fans off, keeping things very comfortable in all of our play areas. Once the outside temps drop back down in the evening, we open up our bay doors again, and get the fans crankin. - Obviously, heat rises. On top of our multiple large industrial floor fans, we have an upstairs exhaust fan. This fan helps immensely in keeping the facility cool. It's manual and thermostat controlled. - On particularly hot days, 80+, we setup are large industrial cooling/mister fan, with it's 12 gallon reservoir. This baby lowers the surrounding air temperature by several degrees. It rotates, blows air, and mists. It's perfect for our facility. - Also on really hot days, we bust out our kiddie pools. We'll usually fill these up with bags of ice, and allow are canine buddies to have at it... However, a Fort Fido "wrangler" must keep in mind that some dogs, believe it or not, can become "Ice Possessive" and yes, fight over a piece of ice lol. It's akin to Toy or Food Possessiveness. - There are a total of eight fans located throughout the building, setup to control fresh/cool air flow. - Sometimes, we will even make a few "Ice Toys". I've used balloons, and various plastic pails for molds, it's pretty fun and the dogs love it. So yeah, that's a few of the ways we here at The Fort beat the heat! In related news, here are some great Summer Safety tips from Pets America. Today was a great day here at The Fort. Here are some clips of today's action. This first clip features Georgie, the brown & white, Boston Terrier, and Oliver, the black & chestnut colored, Bernese Mountain Dog/English Crème-colored Golden Retriever Mix. In this next clip you'll see Tobey, the Golden Retriever playing with Duke the Sheep Dog. This morning we had Bonnie in for her assessment. She is a nice, four year old, sixty pound, honey, black and white colored, Labrador Retriever Mix. Bonnie hung out in Fort Fido's Big Roll. In there, Bonnie did ok for a first day... Lately, she has moved around a lot, so she wasn't quite sure what was going on here this morn. An Overnight Boarding and Dog Daycare regular, Bonnie, was very even tempered and comfortable within the pack, once a bit of time passed. We plan on seeing Miss Bonnie again soon, and we hope that she will become even more comfortable here. Today we met up with Sumo for his assessment. 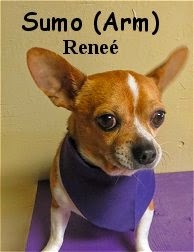 He is a very cute, five year old, ten pound, tan and white colored, Chihuahua. Sumo headed upstairs to The Fort's Little Roll. Up there, he was cautious, yet curious, about his new surrounding. Once a bit of time passed, Sumo settled into the pack and seemed to be comfortable with the new situation. Although he didn't "play" with any dogs, he did prance around confidently, sniffing a few canines here and there. Sumo's tailed wagged frequently, as he strutted through the play area amidst the group. Sumo is welcome to attend Fort Fido. Hopefully he will branch out a bit more during future visits. Today we welcomed Teddy to The Fort. He is a 2 year old, 62 pound, Black Lab mix. He was a little unsure about being here, but as you can see in the clip below, he could not resist the fun. Teddy is welcome back to Fort Fido anytime, and we look forward to seeing him again soon. Here is a great clip of Teddy playing with Max the Border Collie this morning in the big roll. Yeah, kinda like that lol... The real Pistol Pete. There's also the College mascot versions, the old-school NBA star, and of course, the real good restaurant BBQ Pete's haha. The Fort welcomed in a real player this morning... Meet Pete! 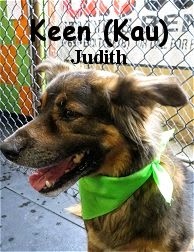 He is a fun-loving, two year old, fifty pound, Australian Shepherd. Now Pete bound into the building ready and rarin to go. Like a bullet, he shot to The Medium Roll, with positive high-energy, and Dog Wrangler, Zach, in tow lol. It was quite clear that Pete was 100% ready to figure out what Fort Fido is all about. Upon entry into the play area, Pete met up with Louis, and the two hit it off instantly. Ya see, Pete is a very social canine, he meets and greets dogs well, just wanting to play and make buds, with any dog that's game. 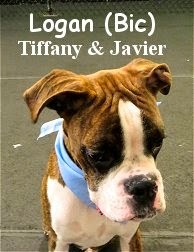 It sure is great to welcome in a new dog that truly likes to play, socialize, and fit in with the pack real proper like. This Pete fella definitely does all of that, and he is most welcome here. Well done today Pete! In the clips that follow, buckaroo-Pete, enjoys himself with Louis, and others from the Medium Roll Pack.